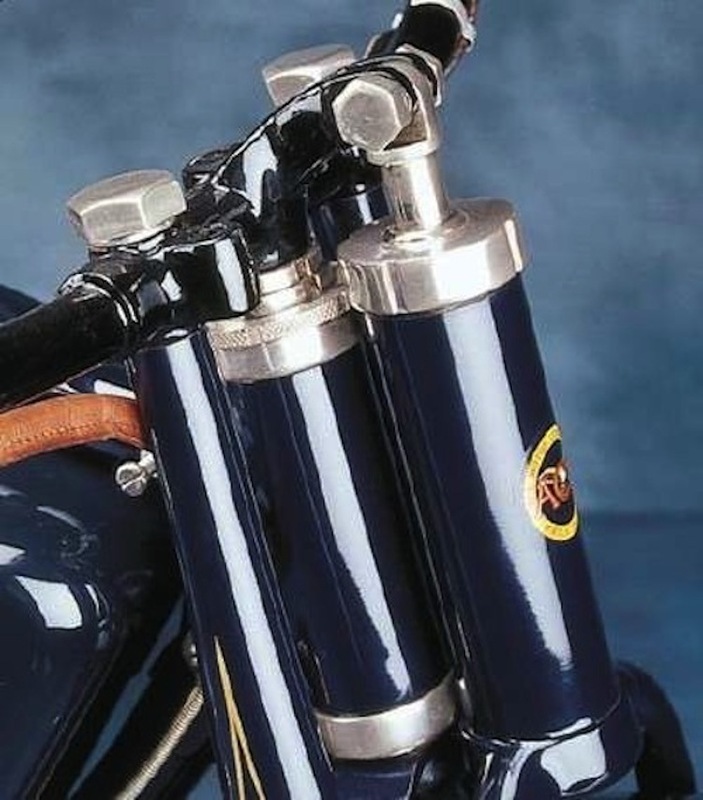 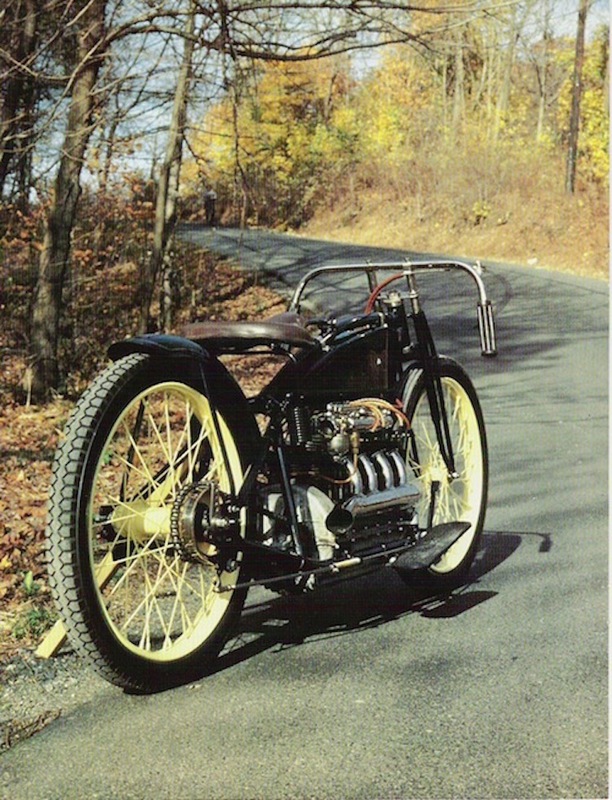 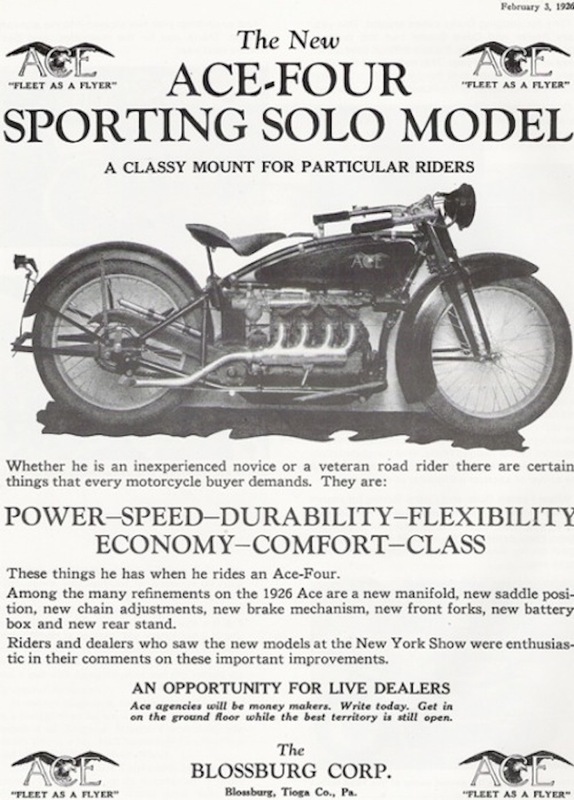 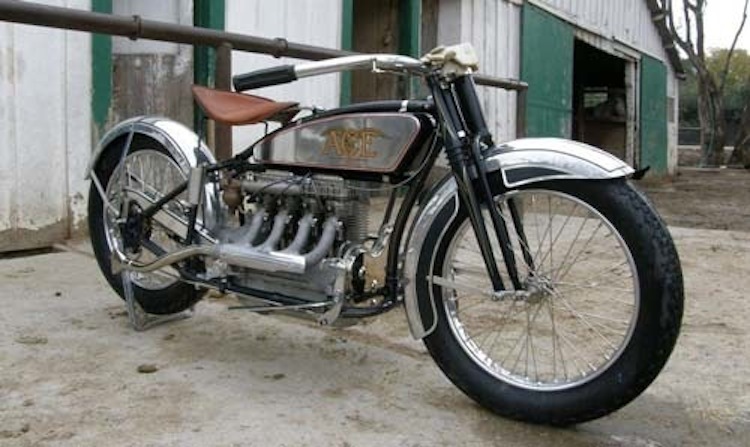 Ace Motorcycle was an offshoot of the Henderson, a four cylinder but more agile and elegant.In 1922 Cannonball Baker set the coast-to-coast world record on an Ace. 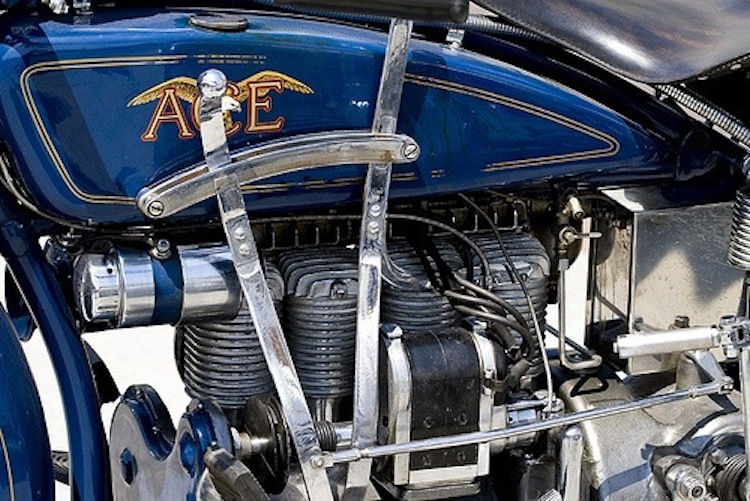 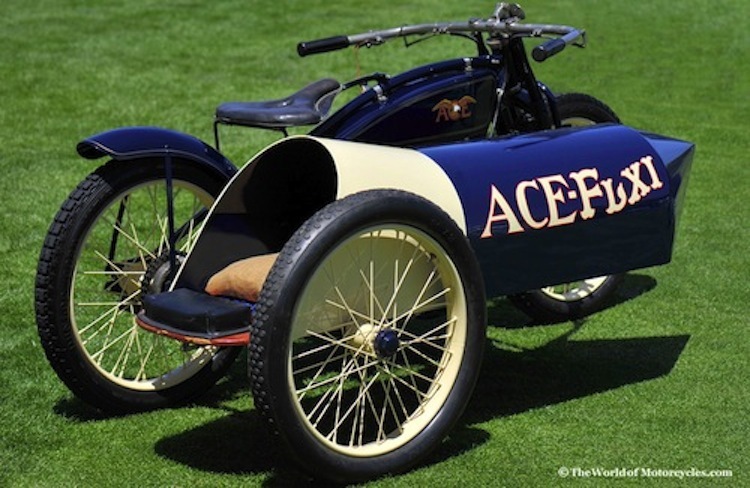 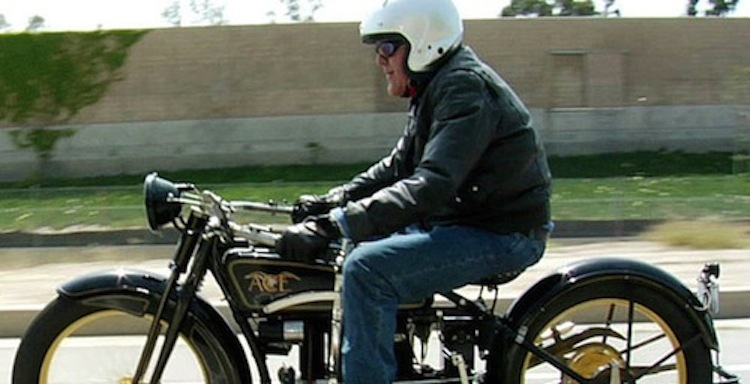 In 1923 Ace set a land speed record going over 129 mph.They ran into financial problems 1924 and had a few failed attempts at reviving the brand until Indian bought them in 1927. 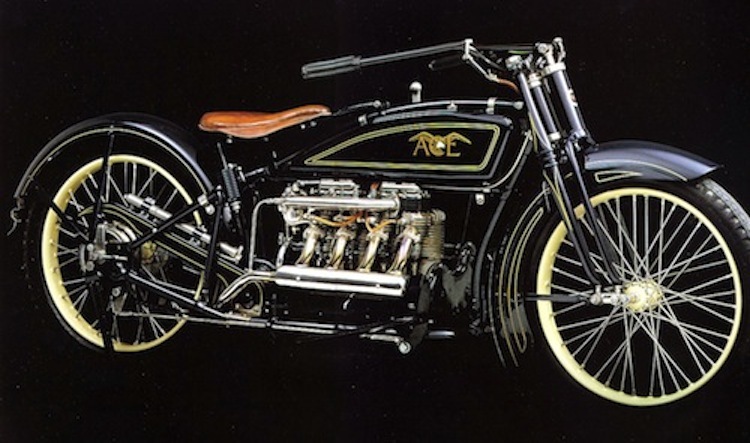 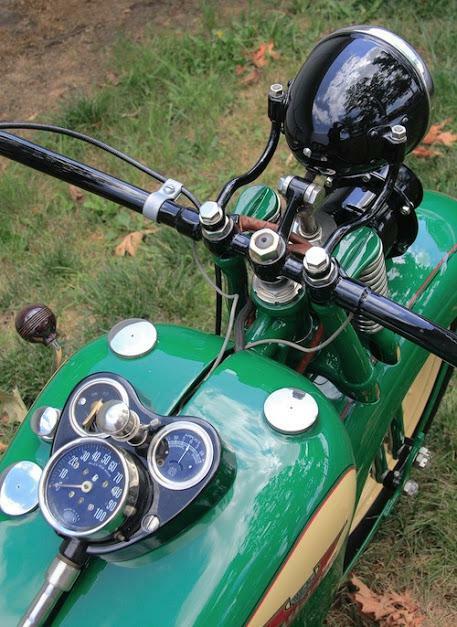 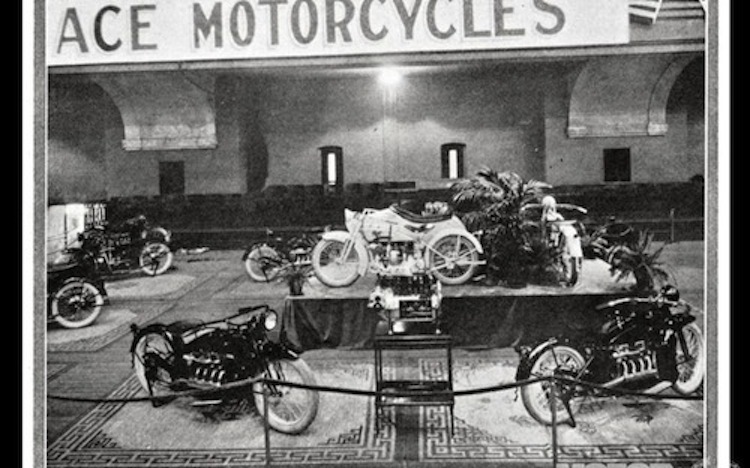 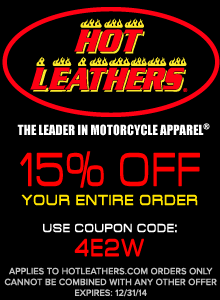 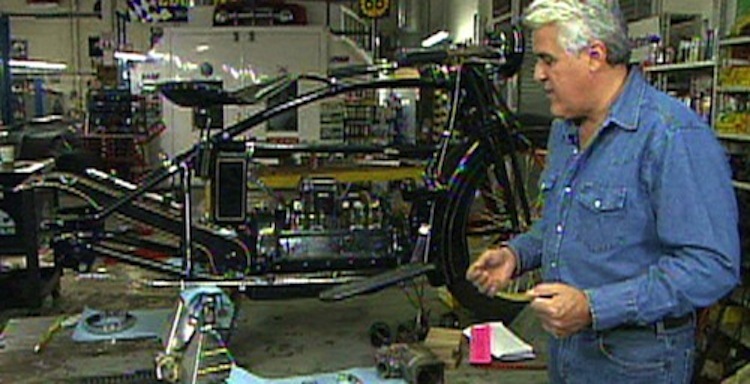 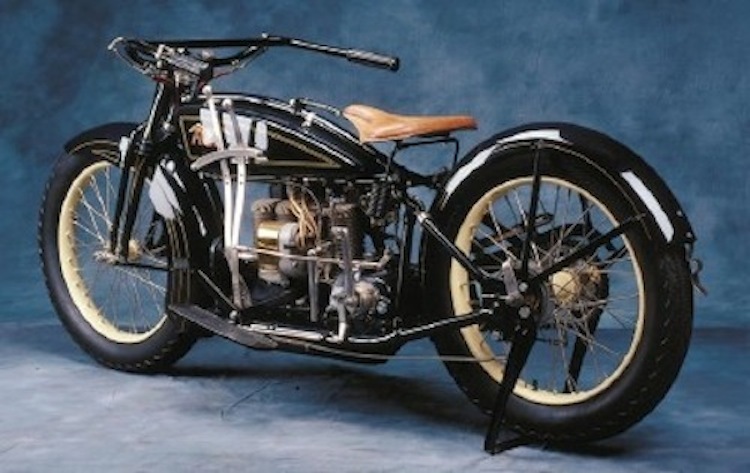 They continued to produce Ace bikes until 1928 when Indian came out with their own 4 cylinder.